All companies covet the perfect website, one that will increase their conversions and explode their popularity online. Is it a sweet dream? We reassure you: with a little investment, it is possible to design a website to the height of your expectations! You already have the basic principles in mind: well-optimized service pages, blog section updated regularly, and so on. However, is there a small something that will allow you to put yourself forward in relation to the competition? A simple trick that no one else would have thought of, and that would make your website even more enjoyable to visit? My Little Big Web reveals some of its secrets to add to your website small items that will make the difference! Adopt a friendly and humorous tone when designing your website. Today, with the rise of social networks, the web has changed: exchanges are now focused on proximity and equality, and the hierarchical relationship between the brand and the customer has faded. Turn the social aspect of the web to your advantage! When one is an SME, it is not always easy to know how to write on the web . By giving your website a friendly and relaxed touch, you will encounter several advantages: not only will your customers see you as a young, accessible and accessible company, but you will also be free from the sometimes heavy constraints of the sustained level of language. 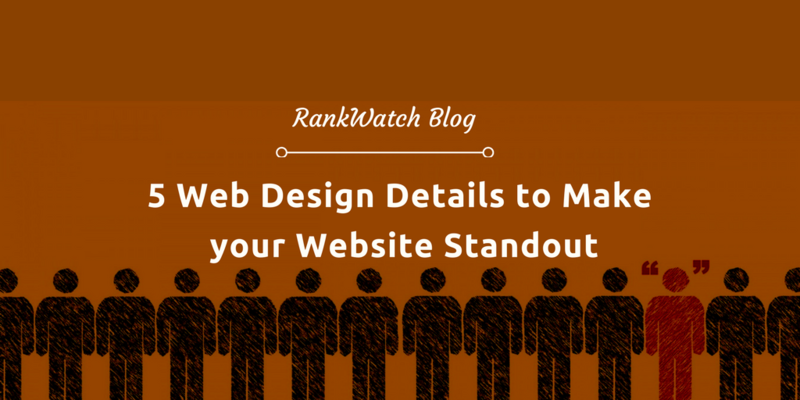 A 100% winning strategy to set up right from the design of your website ! Obviously, not all companies can afford to adopt a light tone. Financial sector companies, for example, must, to be taken seriously, maintain a certain level of language. If however your industry allows you, go for it! Your popularity will immediately be improved. During your website design, do not forget to include the buttons of your social networks! We mentioned it in the previous paragraph: today the web is social! Much of the traffic takes place on social networks, and that's why it's important never to neglect them. If your site has a blog section (which is highly recommended), it is important that your readers have quick and easy access to sharing options to distribute your articles to their audience. That's why setting up sharing buttons on social networks is of utmost importance. Visible, the readers will be able to share with a single click the content they have liked. A bargain for your visibility! Also, think during the design phase of your website to include links to your social networking pages. Cleverly placed on home pages, contact pages, or on any other relevant page, they encourage people to follow you other than through your website. Most of your customers will use their social media more often than your online platform: by following you, they will not miss any of your news! But what is Ariadne's thread? Be attentive, it is not far away! You guessed it, it is simply this small path of navigation present at the top of a web page allowing you to easily return to the previous sections of the site. This practice of SEO Optimization On-Site is wrongly neglected by a large number of sites. Integrating a breadcrumb trail when designing your website is a great thing to do! This simple gesture allows you to benefit from an easily improved internal mesh: what could be easier to integrate links than a navigation path? In addition, Ariadne's thread offers your users an ergonomics that will be rather welcomed. Indeed, they will be able to walk on your website, going from one page to the other, without ever losing track of their journey.They will be able to go back easily and when they want. Nothing is ever more appreciated than an online platform simplifying life for its users! Integrate an internal search engine when designing your website. We are used to hearing: "If my site is organized in a clear way, then why would I need an internal search engine? ". Indeed, it is not essential. However, it can be useful if you want to make a difference! Once well integrated with your website, the search engine will be the most effective way to guide the user towards conversion. The latter can search directly for a city, a product or a service, without having to explore the menus and draw deductions. We offer even a little extra advice: think about telling your developers to integrate an internal search engine on your 404 pages, in order to redirect your lost Internet users! Some companies, focused on their content, tend to forget to let their pages breathe. Do not fall into this easy trap, and pay attention when designing your site to its aesthetic and lightness! In order to give a professional image of your company, make sure that the different content spaces on your pages are always well aligned. The opposite will soon make your visitors feel unprofessional! Distribute your pictures and text blocks in a balanced way, and use pictograms and small icons to make your site look less. Also pay attention to the choice of your images: prefer them clear, bright, and not too charged! Do not neglect the step of editing and cropping: a poor quality image, too heavy or unattractive will have a detrimental effect on the popularity of your website. Here again, the secret of success lies in the love of detail! You are now aware of some of the aspects that lead the websites we design towards success. However, we did not tell you everything: you have to cultivate the mystery, otherwise you would not need us anymore! Sanket Doshi is a Co-founder of Elitech Systems, a responsive web design & development company. The company also works for tailor made web & mobile application development solutions. Where Mr. Doshi works to bring client ideas to reality. He enjoys pushing the limits of user interaction and finding ways to create awesome reusable components within a Web environment.